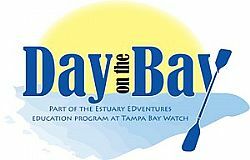 "A Day on the Bay" is the name of a new half-day estuary introduction and kayak eco-tour to be offered by Tampa Bay Watch. The first tours will be offered on March 27, 28, & 29 from 9 a.m.–1 p.m. The tour begins with a brief orientation about the Tampa Bay estuary and Tampa Bay Watch and is followed by a kayak trip briefing. Participants will then accompany trained staff in Tampa Bay Watch's tandem kayaks for an exploration of all the unique habitats the bay has to offer, including lush seagrass beds, mangrove forests, and a local bird rookery. The cost of the program for Tampa Bay Watch members is $20 and $25 for the public. Tampa Bay Watch members can contact Ian Pike (727-867-8166 ext. 249) for the membership discount code to be used during online registration. To read all about the program and register, visit the link below.